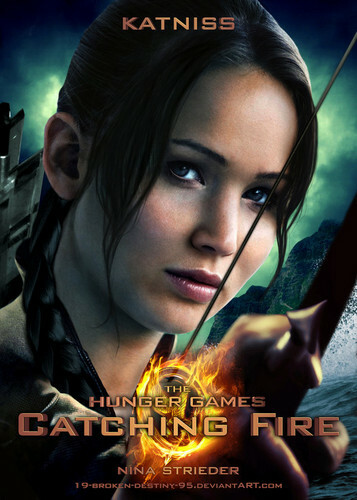 Katniss - Catching Fire. . HD Wallpaper and background images in the The Hunger Games Movie club tagged: the hunger games catching fire movie jennifer lawrence katniss everdeen. This The Hunger Games Movie photo might contain sign, poster, text, chalkboard, portrait, headshot, and closeup.